Exciting, fluid, functional. This is the language that distinguishes Marco Piva’s architectural creations, product design and interior design. Graduated at the Polytechnic of Milan, in 1977 he founded Studiodada Associates, one of the best known design studios of the Radical period. Since the beginning Marco Piva has been working in Italy as well as abroad on architecture, interior and industrial design projects, earning commendations and awards in Italy and abroad. From 1987 to 1990 he was member of the Presidential Board of Associazione per il Disegno Industriale (ADI), the Industrial Design Association in Italy. 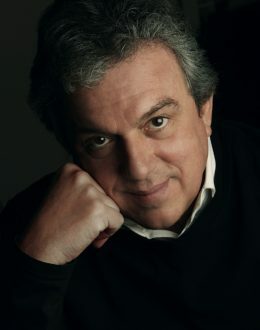 In 1987, Marco Piva also founded IDA, International Design Agency that was an Italian interface for a World Design Network system. In 1990, he also founded his own brand, Studio Marco Piva. From 1988 to 1991 he held the position of Italian Commissioner for the European Community Spring project for innovation and technology transfer. Along with a variety of designers, sociologists and marketing experts from Germany, France and England, he created the EDEA (European Design Expert Association), a strategic design consulting company. From 1997 to 2002 Marco Piva coordinated Hot Group (Hotel Technologies Group), the first interdisciplinary group of companies specialising in technologies for hotel and hospitality clients. In 2001, a variety of experiences in strategic consulting in the field of design and hotel contract work culminated in consulting work with the hospitality division of Federlegno Arredo. Since 1999, this remarkable activity has been combined with teaching positions at universities and design institutes both in Italy and abroad, and the organisation of the post-graduate Master’s degree program at the Politecnico di Milano, the Scuola Politecnica di Design (Polytechnic School of Design) and the Istituto Europeo di Design (European Institute of Design) in Milan. In 2002 Marco Piva established “Atelier Design”, a design cell inside the structure of his own practice, where research and development are the fundamental keys of design. From 2007 to 2009 he was scientific curator of Italian Contract Design, a project of Federlegno Arredo.